Green homes do not just mean that you are doing your bit for the environment, but it also goes a long way in reducing cost. 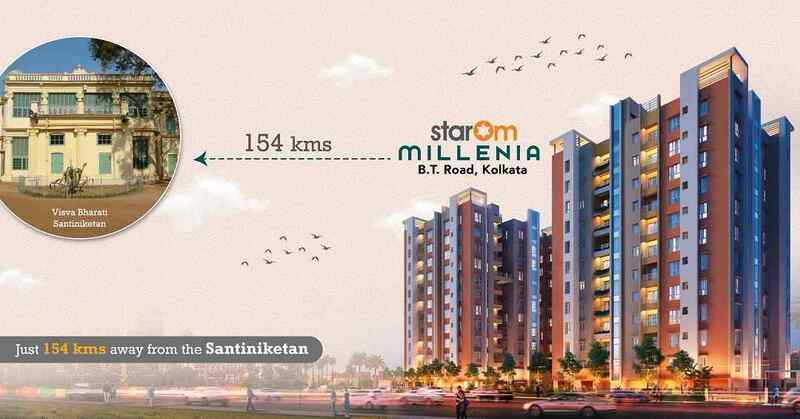 If you are looking to purchase a house, take a look at the brand new residential project, StarOm Millenia. It is located on B.T Road in North Kolkata and enjoys excellent connectivity. The high-rise residential building project is constructed of cutting-edge earthquake-proof technology and is available at an affordable price ! A team of forward-thinking property developers and architects got together to create a one-of-a-kind residential project. This project aims to create a green community and for that, the entire building is run on eco-friendly lighting fixtures. The energy-consuming fluorescent bulbs have been replaced by energy-efficient LED lighting fixtures. Living in StarOm Millenia will give homeowners the peace of mind that they are contributing towards the environment and securing the future of their children. It will also positively help to bring down the monthly energy bills and make the environment pollution-free. The aim of the developers of this first-rate high-rise residential building project is to make the dwellers feel that they are living a sustainable life, every day. 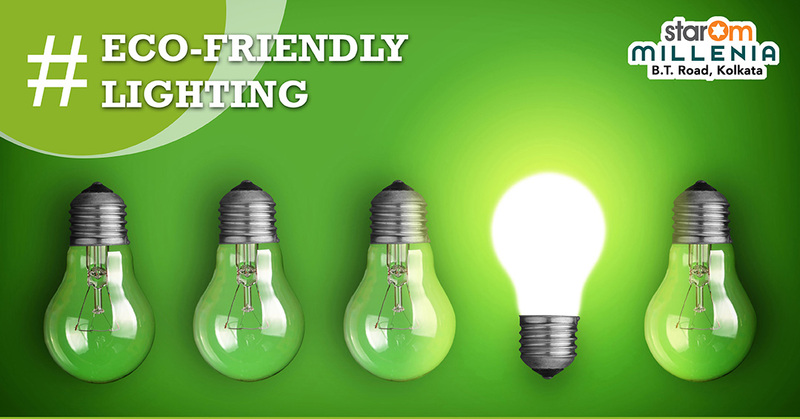 With eco-friendly lights, the developers and architects have tried to create an environmental awareness and play an active role in saving earth. With global warming and dwindling energy resources being one of the top concerns of all nations, StarOm Millenia has taken a big step towards a better future. Come, live here and look forward to a healthier, greener tomorrow.